Second, New Balance kindly sent me sneakers to test drive with the girls: the rainbow 890v3 for Violet and the 689 pink and silver for Laurel (who preferred the more subtle rainbow orientation of this pair). 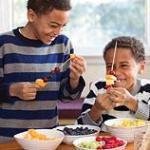 They have been a HUGE hit. 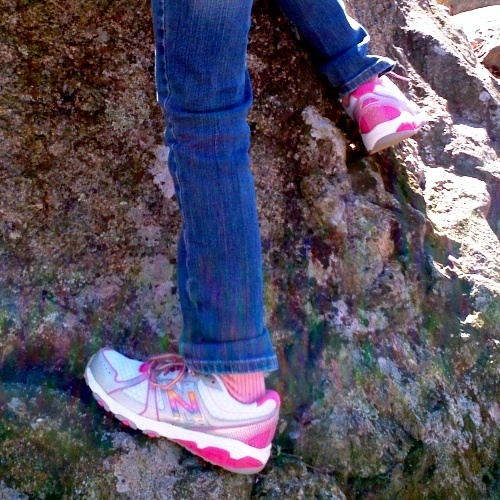 These are Violet's first real sneakers and they are sturdy yet lightweight and she was off and running immediately. The shoes are super easy to get on and off via a Velcro closure that brilliantly looks like laces (handy, since Vi wants everything to look like Laurel's things) and Violet already is learning how to get them on herself (awesome). Laurel also issued thumbs up for her sneakers in the comfort and aesthetic departments. We took the girls to Minute Man National Park last weekend and there was much running around and scrabbling on rocks to be had. And shockingly, no injuries. Third, I've got a rad giveaway for you. You can win a pair of the rainbow sneakers + a year-long subscription to ChopChop magazine simply for being an awesome reader of Boston Mamas. Simply follow the rules below and you're good to go. Simply leave a comment below about this giveaway. 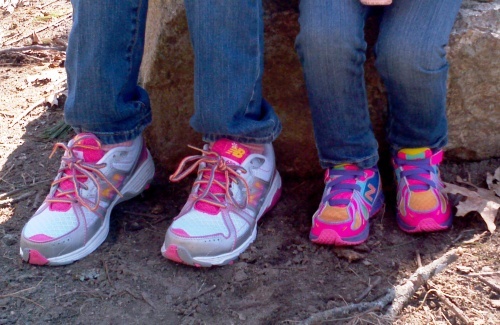 Feel free to share your thoughts about New Balance, ChopChop Magazine, how ridiculously cute Laurel and Violet's sneakers look together (kidding), and/or your favorite tips you have to get your kids out and running or eating well! Entry period closes at noon EST, Wednesday, April 17, 2013. 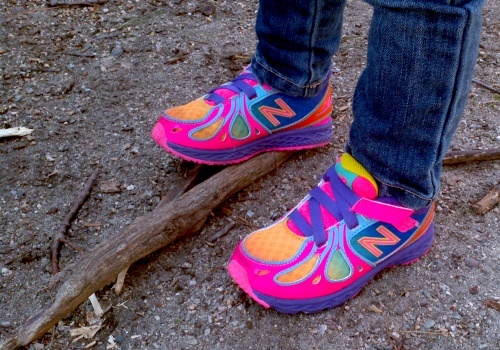 *One lucky winner (selected using Random.org) will receive a pair of New Balance rainbow 890 sneakers + a year-long subscription to ChopChop magazine. The winner will be listed here, using first name only.